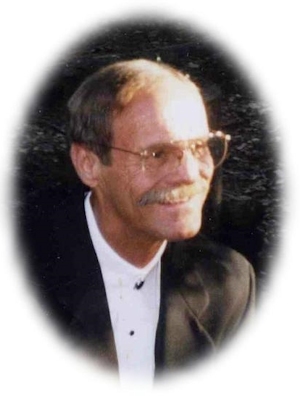 Obituary – Cantrell, Donald Ray “Donnie” « Perry High School Alumni Association, Inc.
﻿Football 62-63, Basketball 62-63, Baseball 61-64, Baseball Letterman 61-64, Football Letterman 62-63. 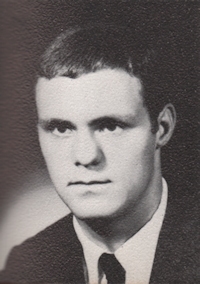 Donald Ray Donnie Cantrell, 57, of Stillwater, Oklahoma was the son of Mary G. (Kennedy) Cantrell. He was born October 19, 1947 at Perry, Oklahoma and died Monday, October 25, 2004 at the OU Medical Center in Oklahoma City, Oklahoma. Donnie was a postman in Stillwater, Oklahoma with the United States Postal Service before he retired in 2002 after 30 years of employment. He played baseball, was an avid baseball fan and was interested in sports, especially OU football. He was a Sergeant who served with the United States Marine Corps in Vietnam. Funeral services will be at 2:00 p.m. Friday, October 29, 2004 at the First United Methodist Church in Perry. Rev. Ed Cook will officiate. Interment will be in Grace Hill Cemetery. Services will be under the direction of Brown-Dugger Funeral Home. A family visitation will be held from 6:00-8:00 p.m. Thursday, October 28, 2004 at Brown-Dugger Funeral Home. Memorials may be made to the Special Olympics or the American Cancer Society in care of Brown-Dugger Funeral Home. Survivors are one son, Jason Cantrell and his fiance, Crystal Smith, of Stillwater, Oklahoma; one daughter, Allison Harris and her husband, Darrin, of Stillwater, Oklahoma; one brother, Leroy Cantrell, of Cloudcroft, New Mexico; three sisters, Mary Ellen Inselman and her husband, Melvin, of Perry, Oklahoma, Mayme Voise, of Bedford, Texas, and his twin, Doris Dodie Beckham and her husband, Joe, of Perry, Oklahoma; one grandson, Tyler Ashton Cantrell, of Stillwater, Oklahoma; three step-grandchildren, Hailey Bazan, of Stillwater, Oklahoma, Jeremy Harris, of Stillwater, Oklahoma and Valerie Harris, of Stillwater, Oklahoma; and 10 nieces and nephews. His mother, Mary Cantrell, and one nephew, Wayne Inselman, preceded him in death.